I am sharing a timeline I have compiled of key events and accompanying literature on the North Borneo (Sabah) issue. This timeline is being shared for academic and media research purposes. It is not being published as an official statement of policy in any shape or form, nor does this timeline purport to be representative of of the views of the Philippine government. A chart on the genealogy of the Modern–day Sultans of Sulu has been published in the Official Gazette. [S]ultanates… conformed to a general sociopolitical type that has been characterized as a “segmentary state” (Southall 1965) or “contest state” (Adas 1981). They were loose confederations of local overlords, or datus. Datus formed a tribute-taking aristocracy with hereditary claims to allegiance from followers. While a ruling datu was almost always associated with a specific district, or inged, the index of relative political potency was command of people rather than control of territory. In accord with the pattern that pertained throughout precolonial Southeast Asia, where arable land was more abundant and thus less valuable than human resources (Reid 1988), the wealth of a ruling datu was secured through rights over persons rather than rights in land. …Because of the existence of a royal (barabangsa) bloodline, the sultan was not simply a primus inter pares ruler. He was, nonetheless, a datu who, as a result of a combination of pedigree and political savvy, commanded the allegiance of other datus. That allegiance was accomplished and maintained primarily through the creation of dyadic alliances between the sultan and individual datus—arrangements commonly sealed either by his bestowal of a daughter in marriage or his marriage to a daughter of another datu. Because datus ruling ingeds were the basic components of a sultanate, the authority of a sultan was exerted not over a royal domain as such but over his datu supporters, linked together in a network of dyadic alliances. Ruma Bechara: translated literarily as “House of Talk,” or council of advisers, ratifies undertakings of the Sultan. The council also designates the Raja Muda or crown prince, as well as the accession of a new sultan. Indigenous population (local princess): Established the Sultans were not foreigners and could claim ownership of land. Tarsilas or salsilas – genealogies used by Islamic royalty; no datu or person can become a sultan unless he was a tried-and-true descendant of the first sultan reflected on the tarsilas. Immediate descendants of the first Sulu sultan who ruled are called sultans in the tarsilas. A few succeeding ones are called Pangirans, suggesting relationships with the royal family of Brunei. See also: H. Otley Beyer, Brief memorandum on the government of the Sultanate of Sulu and powers of the Sultan during the 19th century. That system comprised two principal socioeconomic categories that crosscut ethnolinguistic boundaries: tribute-takers and tribute-providers. Tribute-providers were predominantly direct producers, either freemen or slaves. Tribute-takers consisted primarily of local overlords (datus) linked with one another through intermarriage, through patronage arrangements, and by means of the ideology of nobility. Note: maps used are for non-commercial purposes only. Tributary trade missions occur from the Philippines these trade missions compete for Chinese trade attention . 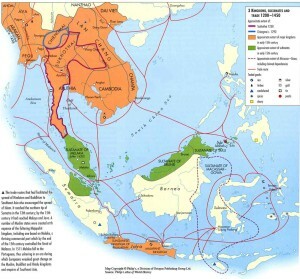 Southern Philippine polities (Maguindanao, Sulu, and Kumalalang) were competing for dominance along the Southern South East Asia trade routes. An initial trade mission successfully launched the Sulu polity as a significant player in early Ming southern spice trade. Term ‘sultanate’ refers to a political institution based on an Islamic legitimating ideology and headed by a sultan who is a formally hereditary leader who possesses the authority to bestow titles and appoint individuals to specialized subordinate offices. Sultans were distinguished by their pulna status (those designated as pulna were able to trace direct ancestry from Sarip Kabungsuwan through both parents). Within the datu estate, claims to status rank were predicated upon the quality and quantity of ties linked to Sarip Kabungsuwan. It was a complex system of rank and status; an example of which is the Cotabato Sultanate that had neither the number of offices of the Sulu Sultanate nor the elaboration in rank titles found among the Maranao. The Maguindanao Sultanate for instance, was known to have 11 offices (including that of the Sultan), arranged in 3 orders of rank. Treaty signed between Sultanate of Sulu and Spain regulating recognition of succession in sultanate and respective territory and rights of Spain and Sultanate of Sulu. 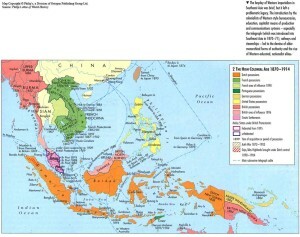 Eighteenth-century officers of the British East India Company had taken the cession for granted and dealt with the Sulu Sultans as the sovereigns of Sabah. 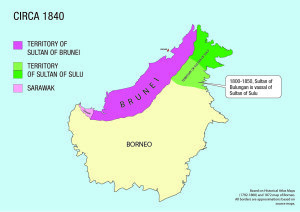 Jesse, Brunei resident for the Company in 1774, and Sir Stamford Raffles did not raise questions about the cession of Sulu by the Brunians. Treaty of alliance between Spain and Sultan Azim Ud-Din invoked by Sulu. Governor Pigot and the Madras Council of the East India Company sends Dalrymple to Sulu, along with one Thomas Kelsall, to announce the formal acceptance of the Treaty and to obtain the cession of Balambangan island. Prior to the British occupation of Manila, the Secret Committee of the British East India Company wanted to take possession of Mindanao. The English forces in Manila encountered and released Sultan Alim-ud-din and his son Raja Muda Muhammed Israel (who had been taken captive)–in gratitude, the Sultan made “generous offers” to the Manila Council. Deputy Governor Dowsonne Drake and his council agreed to conclude a treaty that would not be in conflict with the 1761 treaty. Dalrymple hoists the British flag in Balambangan, after entering into a treaty with the new Sultan Alim-ud-din I, son of Bantilan, for the cession of Balambangan. A Treaty of Alliance and Commerce is signed between Sultan Alimudin I and Dowsonne Drake. It confirmed the 1761 treaty, including the mutual defensive alliance, except for a provision stating British respect of the government, customs and religion of the people of Sulu. 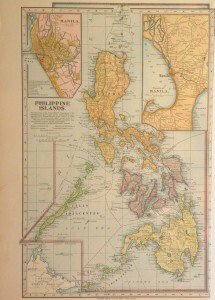 British occupation of Manila and extensive parts of Northern Luzon. Reassures Spanish Governor General that this is meaningless because he hasn’t assumed powers of sultan. Dalrymple receives a confirmation of the cession of Balambangan from Sultan Alimuddin II, son of Bantilan. Sultan Alimudin I confirmed the cession of North Borneo (from the northeast side of the river Kinabatagan to the northwest side of the river Kimanis, together with Balambangan, Labuan, Banguey and Palawan) to the East India Company in return for the promise that one of his sons, Datu Saraphodin, was to govern these territories. Sultan Alimudin II signed the deed of cession, together with Datu Oranky Mamanacha, Datu Tumangoon, and Datu Mannabeel on behalf of the nobility in Sulu. Dalrymple granted a commission to Datu Saraphodin (one of Sultan Alimudin I’s sons), vesting the power and authority to assume government of the ceded territories on behalf of the Company. A perpetual treaty of friendship and commerce was signed by the Sultan of Sulu and Dalrymple which renewed and confirmed the 1761 treaty. 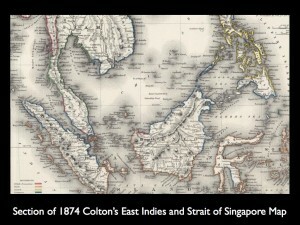 The East India Company decides to occupy Balambangan and make it a strategic commercial base; however, the conditions on the island lead them to abandon this settlement in early 1755. The East India Company attempts to re-occupy Balambangan but is unsuccessful due to the Company’s Directors’ disapproval. 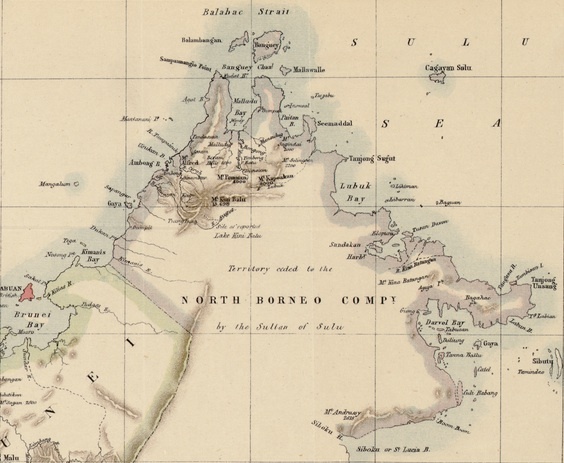 The East India Company “showed no interest in resettling North Borneo”. Treaty of London signed by the Netherlands and Great Britain. An Agreement was made between the Sultan of Sulu and the United States. The agreement stated that the Sultanate of Sulu will protect American vessels in the area should they be shipwrecked and protection of U.S. citizens. The agreement was not subject to ratification and not proclaimed. Ruma Bechara agrees to sale of Basilan to France for 100,000 Mexican dollars on condition it is occupied by France within 6 months. Spanish Governor in Zamboanga protests. Governor General Narciso Cleveria orders construction of fort in Pangasaha, Basilan as deterrent to France. France eventually decides against purchase of Basilan. James Brooke and Sultan Pulalon of Sulu agreed on favored nation status for each other; right of British subjects to acquire properties in Sulu; docking rights; pirate-free policy and prior consent before. Brooke then, proceeds to Zambaonga to inform Spain. The Spanish object. In 1850, the Government of the Dutch East Indies and the sultans of the three kingdoms [belonging to a “contrat de vassalité”] agreed on the respective kingdoms they were given in fief. The agreement with the Sultan of Bulungan is dated November 12, 1850. With-Gounoung Tabur: the coast to the interior, the river Karangtiegau from its mouth to its source, in addition, the boat Beoukkier and Mount Palpakh. The following islands belong to Bulungan: Terrakan, Nanukan, and Sebatik, with small islands attached to it. This delineation is based on a provisional basis and will result in a new comprehensive review and redetermination. Treaty signed with Spain by the Sultan of Sulu, Mohammed Pulalun. The East India Company is dissolved following the Indian Mutiny, and all its territories are taken over by the British Crown. Claude Lee Moses, an “American adventurer with dubious consular status,” secures from the Sultan of Brunei and the Pengeran Tumonggong a 10-year lease of a tract of land north of Brunei, with rights and privileges similar to those vested upon Rajah James Brooke in Sarawak, for an annual payment of M$9,500. Moses transfers all rights to American businessmen Joseph W. Torrey and Thomas B. Harris, in return for a promise to pay him later. Torrey and Harris, with two Chinese associates, sign an agreement to take over the cession, raise a capital of $7,000, and conduct trade between North Borneo and Hong Kong. They then organized the American Trading Company of Borneo. Following Harris’ death in 1866 and lack of capital, Torrey approaches Baron Gustavus von Overbeck in Hong Kong (a German who served as a minor diplomatic official of the Austro-Hungarian Empire) to propose acquisition of the lease territory In turn, Overbeck initially planned to sell the territory to the Austro-Hungarian Empire. Moses writes the U.S. Secretary of State saying the property he acquired was a lease. Baron Overbeck signs an agreement with Count Montgelas and A.B. Mitford to acquire the rights from the American Trading Company, where he will put £2,000 and they will put up £1,000 each. Torrey sells all his rights to in the American Trading Company to Overbeck for $15,000 on the condition that the lease (which was due to expire that year) be renewed. However, the Sultan of Brunei did not want to renew it because neither Moses nor Torrey had paid the Sultan during the contractual period. Renewal of the lease for another 10 years, upon payment of £1000 to the Pengeran Tumonggong. 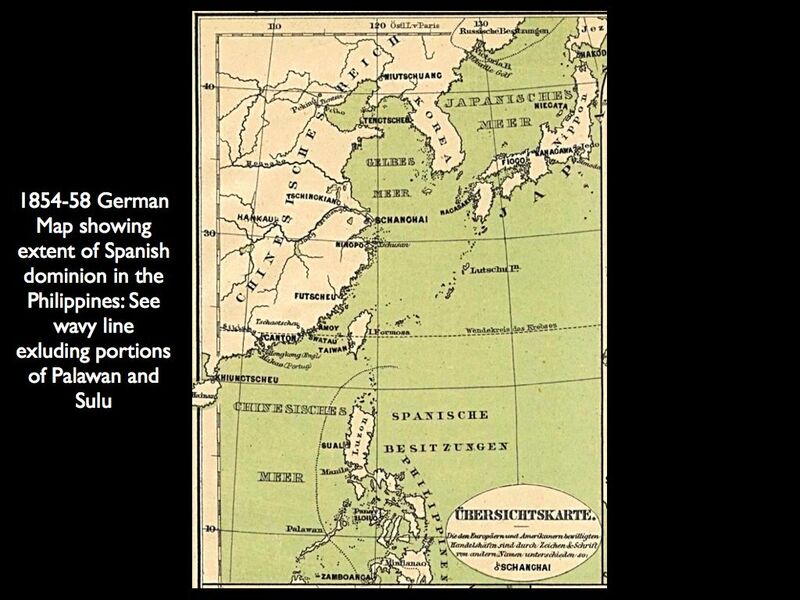 Two German vessels that break Spanish blockade are captured by Spain. Germany and Britain protest. 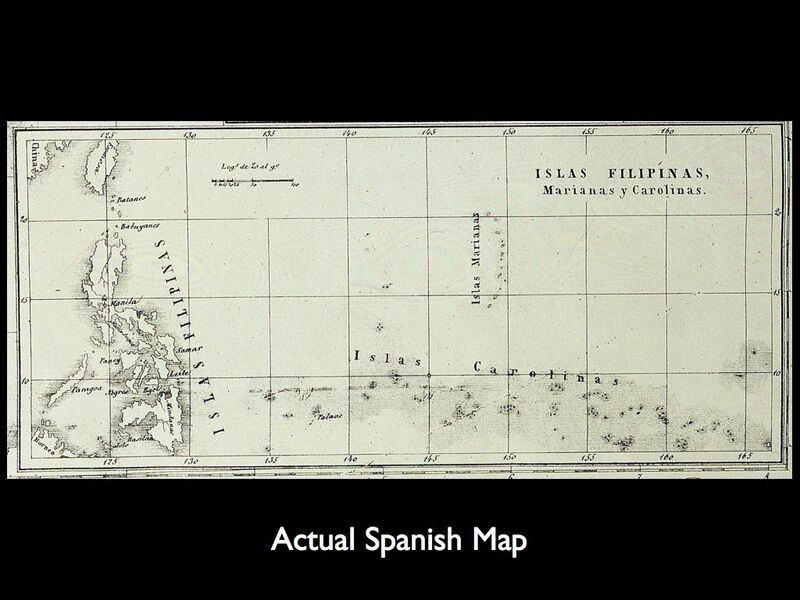 Spanish government launches Malcampo expedition against Sulu. Overbeck approaches Alfred Dent, who realizes the potential of North Borneo and advances £10,000 on condition that the sole management of the North Borneo Concession be given to him. Ordinance issued in the form of Statute (Decree) No. 31 on the power set who oversees the royal Bulungan Tidung Land, the island of Tarakan, Nunukan, Sebatik Island, and some small islands in the vicinity. In fact, the Decree will be confirmed again on March 15, 1884 by the Secretary of the Dutch East Indies in Bogor. 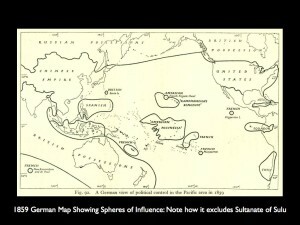 Protocol of Sulu signed between Spain, Germany, and Great Britain, providing free movement of ships engaged in commerce and direct trading in the Sulu Archipelago. 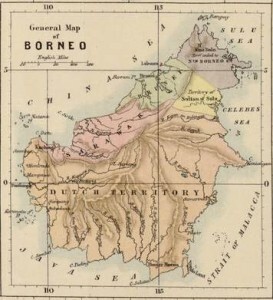 Expeditions of Alfred Dent to control north part of Borneo began. Overbeck obtains a grant from the Sultan of Brunei for some 28,000 square miles of land in the northern part of Borneo for an annual payment of $15,000. 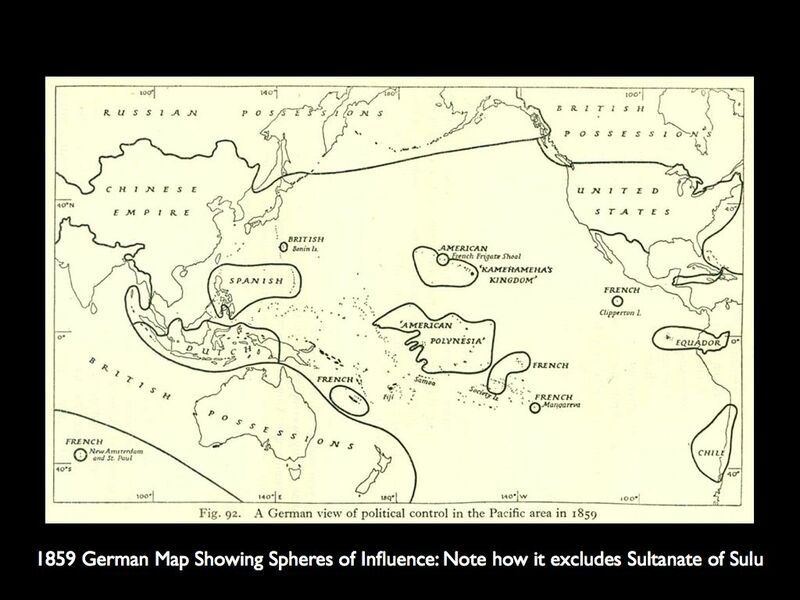 Overbeck learns afterward that the northeastern part of Borneo was ceded to the Sultan of Sulu, and so he and William H. Treacher sail to Sulu to negotiate a contract for the rest of North Borneo. Quiason: Upon close scrutiny and extensive research, based on Professor K. Tregonning’s book ‘Under Chartered Company Rule’, the use of the term “cession” in those days actually meant “lease” that is, the lease of a territory for a stipulated period of time in consideration of an annual payment. 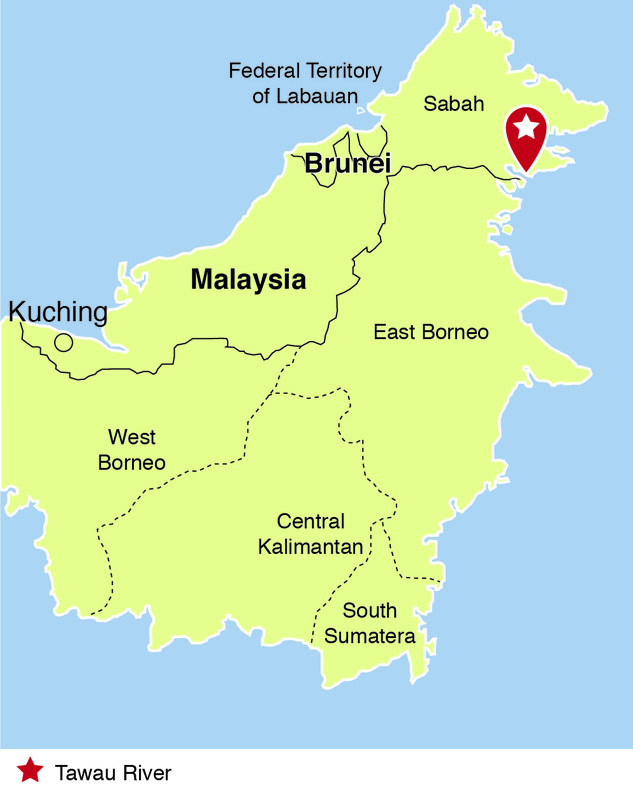 The Sultan of Brunei’s territory extends, at the utmost, only to the west side of Malludu Bay, though formerly the Brunei kingdom extended as far as Cape Kaniungan, on the east coast, in latitude 1° north. The remaining territory, mentioned in the grants is actually under Sulu rule, and occupied by Sulu Chiefs, and it was only because the districts were mentioned in the original American grants that they are again included, and Mr. Overbeck will now have to make a separate agreement with the Sultan of Sulu for them. Sir Alfred Dent obtains sovereign control over the northern part of Borneo for 5,300 ringgit ($5,000) from the Sultans of Brunei and Sulu. See contending translations of relevant portions of this document.See also the Spanish translation. See another English translation. 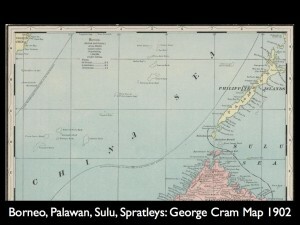 commencing from the Pandassan River on the north-west coast and extending along the whole east coast as far as the Sibuco River in the south and comprising amongst other the States of Paitan, Sugut, Bangaya, Labuk, Sandakan, Kina Batangan, Mumiang, and all the otherterritories and states to the southward thereof bordering on Darvel Bay and as far as the Sibuco river with all the islands within three marine leagues of the coast. Sultan of Sulu Mohammed Jamalul Alam appoints Baron de Overbeck as Datu Bendajara and Raja of North Borneo. Sultan of Sulu Mohammed Jamalul Alam (Translation of Deed of 1878 by Prof. Harold Conklin) wrote letters to the Governor of Jolo, Carlos Martinez and the Captain-General Malcampo to revoke what he termed the lease he granted over North Borneo. By this grant, in consideration of the annual payment to the Sultan of the sum of 5,000 dollars, the representatives of the proposed Company obtain the concession of the country extending from the Pandassan River on the west coast to the Sibuco River on the east, including the five harbours of Maludu and Sandakan, and Darvel and Sibuco Bays. The Sultan was anxious that the limits should be fixed from Kimanis to Balik Pappan, explaining that by making no mention of the country from Kimanis to Maludu he might be thought by his people to be abandoning his claim to it, though at the same time he acknowledged that his power actually only commences at Maludu, and that consequently he would ask no additional rental if the limits were fixed as he desired; it being considered, however, that complications might arise in the future with the actual possessors of that country—for the most part independent Chiefs—a compromise was effected and the limits fixed from the Pandassan River to the Sibuco River, the latter limit being, according to a Dutch official chart, in the Baron’s possession, the northern limit of Dutch territory on that coast, though, as I have not with me the Treaty said to exist with Holland confining its right to colonize in these seas within certain limits, I am unable to state whether they are justified in coming so far north on that coast. The Sultan assured me that at the present moment he receives annually from this portion of his dominions the sum of 5,000 dollars, namely 300 busings of seed pearls from the Lingabo River alone, which at 10 dollars a busing comes to 3,000 dollars per annum, and about 2,000 dollars from four birds’-nest caves in the Kinabatangan River, which are his family possessions. See contract in Spanish, in English (translation of Spanish); Conklin translation (from Arabic copy in Washington); Maxwell and Gibson translation. Letter of Commanding General of the Naval Station of the Philippine Islands: reporting Overbeck undertaking. New contract of vassalage concluded between the Government of the Dutch East Indies and the Sultan of Bulungan. 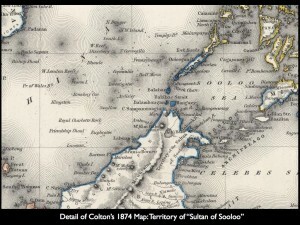 According to the letter of the Sultan, Sandakan was not ceded to the United Kingdom but was only leased. The Sultan added that he only did this under the threat of attack from the British. 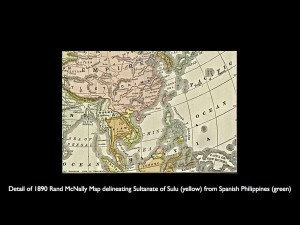 Peace treaty of Spain and Sultanate of Sulu. 1. Sultan and Datus to receive salaries from Spanish government; authorized to issue licenses for firearms and collect customs duties on foreign trade except in ports controlled by Spain; Spain to respect Islamic culture and religion and Sultanate to accept Christian missionaries. 2. Sultanate of Sulu accepts sovereignty of Spain and concedes that no territorial cession of any portion should ever be made to any foreign power without the sanction of Spain. 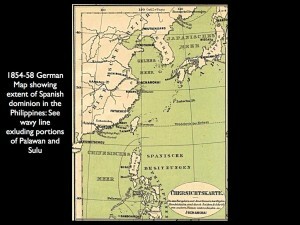 As a consequence of treaty, Spain efforts in sovereignty in North Borneo. Sultan of Sulu writes to Governor-General of the Philippines: due to treaty, it is his will to cancel the contract in North Borneo. The Sultan of Sulu also writes to Governor of Sulu with same information. Governor of Sulu writes to Overbeck: informing him of cancellation of contract. Governor of Sulu writes to Overbeck: contract with Sultan of Sulu must be taken in context with preexisting treaties and Spanish sovereignty. Overbeck responds to Governor of Sulu: Spanish protectorate over Sulu does not nullify contract. Governor-General of the Philippines writes to Madrid: efforts to have Overbeck contract cancelled. Contract between the Government of the Dutch East Indies and the Sultan of Bulungan was approved and ratified by the Governor General of the Dutch East Indies. Dent and Overbeck apply for a Charter of Incorporation from Queen Victoria. Acting Governor Treacher writes to the Colonial Office, objecting to hoisting of Spanish flag over North Borneo. Treacher also writes to Sultan of Sulu reiterating objection. Acting Consul-General Treacher to the Marquis of Salisbury: on whether Palawan included in Sultanate of Sulu, and reporting Spanish efforts to have Sultan of Sulu hand over North Borneo to Spain. Memorandum by the Duke of Tetuan to the Marquis of Salisbury. See also Memorandum issued in Madrid, giving Spanish view on Overbeck. Mr. West to the Marquis of Salisbury. The sultanate’s territory became officially part of the Dutch East Indies. Queen Victoria grants Charter of Incorporation to the British North Borneo Company. Spaniards protest granting of Royal Charter. 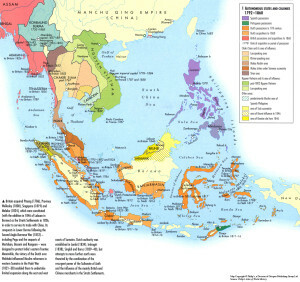 By virtue of treaties of capitulation of 1836, 1851, and 1878, Spain exercised sovereignty over Sulu and its dependencies including North Borneo; Sultan of Sulu had no right to enter into any treaties or make any cessions whatsoever. British Foreign Minister Lord Earl Granville’s letter saysCrown assumes no dominion or sovereignty over the territories occupied by the Company, nor does it purport to grant to the Company any powers of Government thereover. 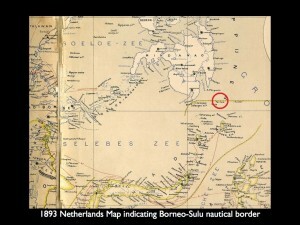 Spanish claims to Borneo abandoned by Protocol of Sulu entered into by England, Germany and Spain. 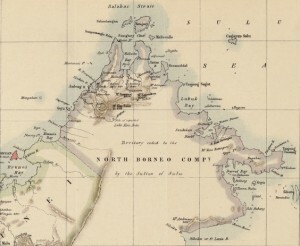 Spanish supremacy over the Sulu Archipelago was recognised on condition of their abandoning all claim to the portions of Northern Borneo which are now included in the British North Borneo Company’s concessions. 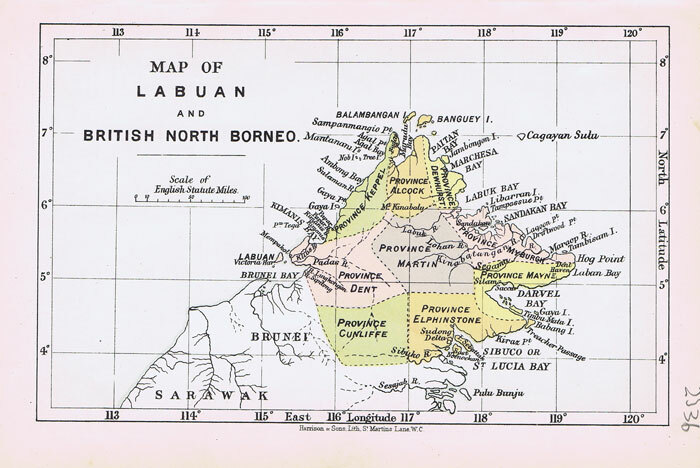 While civil war was ongoing in Sulu, “State of North Borneo” is made a British protectorate. 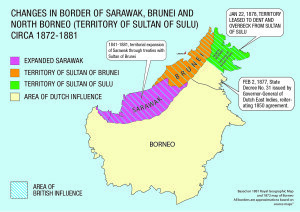 British Protectorate established over Sarawak. British Protectorate established over Brunei. 5. In case at any time any difference arises between the Sultan of Brunei or the Sultan of Sooloo and the Company, that difference shall, on the part of the Company, be submitted to the decision of our Secretary of State, if he is willing to undertake the decision thereof. The declaration of the contract of vassalage in 1878 between the Government of the Dutch East Indies and the Sultan of Bulungan was amended. 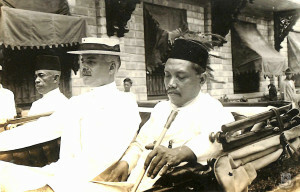 Sultan Jamalul Kiram II rules the Sultanate of Sulu. 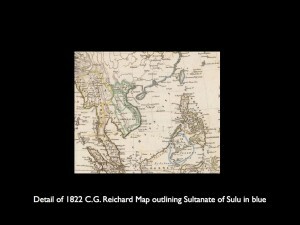 Aguinaldo was asking the Sultan for his support but clarified that the Sultanate of Sulu was part of the Philippine Republic. The Sultan of Sulu did not respond to President Aguinaldo’s letter. At the end of May, 1899, after the war had begun and American troops posted to Jolo, the President’s cousin, Baldomero Aguinaldo, who has been placed in command of the “Southern Region” of the Republic, wrote the Sultan, “authorizing” him to … “establish in all… … of Minadanao and Sulu a government in accordance with decrees of the Republic.” He was also requested to report the number of his forces and the results of his efforts. The Sultan of Sulu and other Moro leaders ignored him. U.S. President replies to Senate query, that payments to Sultan of Sulu will come from Philippine Treasury. Captain E.B. Pratt with two battalions of 23rd infantry arrive at Jolo – Sultan issues favorable proclamation. Gen. Otis orders Gen. John C. Bates to visit Sulu archipelago with a view to a treaty. The authorities of the Sulu Islands have accepted the succession of the United States to the rights of Spain, and our flag floats over that territory. On the 10th of August, 1899, Brig. Gen. J. C. Bates, United States Volunteers, negotiated an agreement with the Sultan and his principal chiefs, which I transmit herewith. By Article I the sovereignty of the United States over the whole archipelago of Jolo and its dependencies is declared and acknowledged. Not ratified by the U.S. Senate, President Theodore Roosevelt abrogates treaty. In an article published on the Evening Star entitled “Jolo Jollities”, the author Theodore wrote that the Sultan of Sulu was honored with a 17-gun salute upon boarding an American vessel and was familiar with the honors rendered. British North Borneo Company obtains from Sultan of Sulu even more territory. The “Sultan of Sulu: a Musical Comedy” by George Ade and Alfred Wathall is staged at Broadway’s Wallack’s Theatre. Leonard Wood Governor of the Moro Province, reports to Governor-General Taft about problems of law and order. Kiram-Bates Treaty is abrogated“because of the Sultan’s inability to maintain public order and the annual payment provided for therein were discontinued. In conferences held with American officials, the Sultan repeatedly claimed that he had on no occassion abdicated or renounced his sovereignty. He continued to excercise his judicial prerogatives in the trial of both criminal and civil (cases) among the Moros in the Sulu archipelago. The Philippine Commission concurs with Gen. Leonard Wood’s decision to abrogate the Kiram-Bates Treaty. Act No. 1259 of the Philippine Commission. Act No. 1320 of the Philippine Commission. The law added Hadji Tahil and Hadji Sali to the recipients of the annual payments. President Diosdado Macapagal wrote a letter to Sen. Leticia Ramos-Shahani dated May 1, 1989 and referred to this letter but set its date at May 4, 1920. British North Borneo Company attempts to have Sultan Jamalul Kiram to take up residence in Sandakan to acquire a good title to the ownership of the territories. A palace was offered in Sandakan to place the Sultan of Sulu under their protection. On two occasions, Gov. Carpenter had to send the Chief of Police of Jolo to bring the Sultan back from attempting to go to Sandakan. The Anti-Slavery and Aborigines Protection Society sends correspondence to the Colonial Office to call attention to the alleged ill-treatment of natives in North Borneo and presses for inquiry; submits statements of evidence given to the Society by Mr. R. B. Turner, Mr. de la Mothe, and Dr. Williams. The British North Borneo Co. to Colonial Office enclosed memorandum by the President of the Company showing the result of his inquiries into the allegations made by the Anti-Slavery and Aborigines Protection Society; trusts the Secretary of State will endorse view of the Court of Directors that the result is to justify the administration of the Company and to exonerate them from charges brought against them. Dayang Dayang Hadji Piandao as Special Agent of the Philippine Government ratifies her oath of loyalty and submission to the Philippines. Senator Teopisto Guingona writes the Governor-General of the Philippines requesting for a copy of the 1878 treaty between the Sultan of Sulu and Alfred Dent and Overbeck. The letter states that the current Sultan has lost his copy in “one of trips”. The Office of the Governor-General of the Philippines endorses Senator Guingona’s request to the Chief of the Bureau of Insular Affairs of the United States War Department. The United States Secretary of War endorses the letter of Senator Guingona to the Secretary of State for proper action. Deputy Secretary of State acknowledges the receipt of the letter of request of the Secretary of War. Act No. 2722 amended by Act No. 3118. Authorizing the Governor-General to grant the land to the Sultans heirs. Act No. 3118 amended by Act No. 3430. Allowed the grant of land situated in Basilan and adjacent islands. Jamalul Kiram is appointed Senator of the 12th Senatorial District. The Sphere of London publishes Sultan Jamalul Kiram’s narration on the loss of his Treaty with the British North Borneo Company dated January 22, 1878, during his visit to Singapore (as stated in the Sultan’s letter addressed to Aleko E. Lilius, journalist for The Sphere). Sultan Ombra, then only a datu and scion of royalty in Tawi-tawi married Dayang Dayang Hadji Piandao. Brother is the claimant though his niece Dayang-Dayang, married to Datu Ombra, wishes to be Sultana. Quezon considers her to be the ablest of the Moros but Mohameddan law does not permit a woman to be Sultan. Harrison points out large portion of political sovereignty already surrendered to Wood in 1903 and Carpenter in 1915. Quezon to recognize Sultan only as the religious head. British North Borneo Company expressed interest because of the stipend paid by the Company to the Sultan. Datu Ombra Amilbangsa is proclaimed Sultan of Sulu. His title becomes Sultan Jainal Aberin. He chose Datu Buyungan, his brother and at the time, the husband of Tarhata Kiram, as Crown Prince. Memorandum on Administration of Affairs in Mindanao of President Quezon to Secretary Quirino. Dayang Dayang Hadji Piandao and the eight heirs of the late Sultan of Sulu request Calixto de Leon as their legal counsel to go to Borneo to bring back the decision from the British Court. High Court of the State of North Borneo hands down decision in Civil Suit No. 169/39. In it, North Borneo Chief Justice C.F.C. 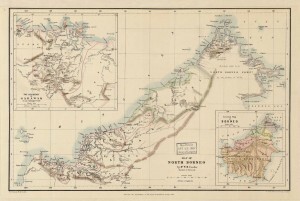 Mackaskie stated that the heirs of the Sultan were legally entitled the payment for North Borneo, which the decision calls “cession payment” on the basis of an English translation by Maxwell and Gibson. Account of the Cession Money now due and payable to the heirs of the late Sultan of Sulu signed by W.A. C. Smelt, Treasurer, in Sandakan. Dayang Dayang renounces her claim against the Philippine Government over the Sultanate of Sulu. British Consul-General S. Wyatt-Smith sends a reply to the Office of the United States High Commissioner, relative to the judgment in the suit filed by Dayang Dayang Hadji Piandao Kiram and eight others claiming to be the heirs of the late Sultan Jamalul Kiram versus the Government of North Borneo. The letter encloses a copy of the judgment and a statement of account showing the distribution of the payment to the heirs. Copy of the declaration of Dayang Dayang Hadji Piandao dated March 8, 1940, relinquishing absolutely and forever all her existing and future claims against the Government of the Philippines. United States High Commissioner Francis B. Syre, after a trip to Mindanao and Sulu, said that the he was going to look into the matter of the lease and that “the matter is very much alive”. Inauguration of the Third Philippine Republic. Copy of a book entitled, History of Sulu and Acquisition of Borneo by Carl M. Moore. Narciso Ramos reports to Secretary of Foreign Affairs Elpidio Quirino on the status of his search for the bookHistory of Sulu and Acquisitions of Borneo by Carl M. Moore and photostatic copy of the Deed of Lease (in Arabic characters) executed in 1878 by the Sultan of Sulu over certain properties located in northern Borneo. 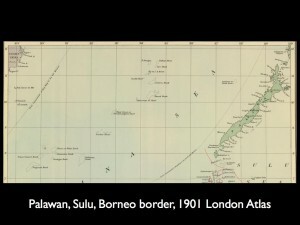 The case of the annexation of North Borneo was placed in the agenda of the United Nations by a group of British citizens who declined to be a part of the British Empire. Francis Burton Harrison writes a second memorandum on the government of the Sultanate of Sulu. See H. Otley Beyer Brief memorandum on the government of the Sultanate of Sulu and powers of the Sultan during the 19th century. Memorandum of Eduardo Quintero to a Dr. Gamboa from Washington D.C. In the memorandum Quintero points out that there are three existing translations of the lease. The first is the Maxwell & Gibson Translation used in the Macaskie decision. The Second in the translation of Prof. Conklin stating that the contract was a lease. The third translation by Dr. Saleeby in the book “History of Sulu”. Quintero concludes that the contract entered into by Dent and Overbeck was a lease and not a cession because it was similarly worded with the contract entered into by Claude Lee Moses and Joseph W. Torrey. Ambassador Joaquin Elizalde responds to Vice President Quirino’s request dated September 19, 1946 by enclosing the requested documents pertinent to the North Borneo case. Washington, D.C.: Memorandum signed by J.P. Melencio. Melencio recommends that the recommendations of the Francis Burton Harrison be followed. He further recommends that the Philippine government talk to the British government as to the basis of their annexation of North Borneo. Once all the legal documents are compiled, Melencio recommends that the matter be brought up to the International Court of Justice. The Federation of Malaya was created. A confidential memorandum was sent to Carlos P. Romulo via acting Secretary of Foreign Affairs Felino Neri. An attorney Calixto de Leon, asked for certification in connection with a power of attorney that heirs request the money due from the British goverment. De Leon further revealed that Judge Antonio Quirino, brother of President Elpidio Quirino, holds a power of attorney from the heirs to transfer or sell their right to North Borneo and is about to consummate and agreement with a third party. sense of the Congress of the Philippines that North Borneo belongs to the heirs of the Sultan of Sulu and the ultimate sovereignty of the Republic of the Philippines and authorizing the President (Elpidio Quirino) to conduct negotiations for the restoration of such ownership and sovereign jurisdiction over said territory. The Senate did not approve the Resolution. British Government in a formal diplomatic note to the Department of Foreign Affairs states its position on the North Borneo Case. Luis Sabater, Legislative Counsel and Chief of Legislative Reference Service consults DFA Legal Adviser Atty. 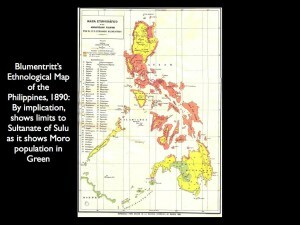 Eduardo Quintero on the title and rights to North Borneo of the heirs of Sultan of Sulu in connection with the proposed bill for the purchase by the Philippine Government of the lands owned in British North Borneo by the aforementioned heirs of the Sultan of Sulu (authored by Representative Leon Cabarroguis). 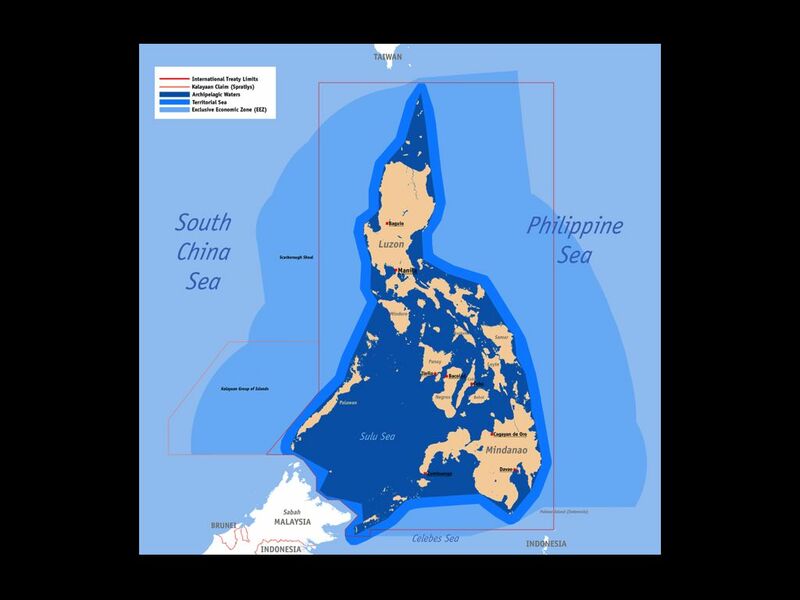 Claim of sovereignty: “prospects are not so bright” based on British government response and that Philippines had never declared itself a successor-in-interest to the Sultanate of Sulu, therefore, claim must be pursued through heirs of the Sultan. Atty. Eduardo Quintero informs Secretary of Foreign Affairs Carlos P. Romulo through a memorandum that according to the report of Judge Guingona, the territorial possessions of the Sultan of Sulu in North Borneo contains an area of 31,000 square miles, with 300,000 inhabitants and that the British Government can realize 9 million dollars annually from forest products alone. V. Diamonon sends a letter to Atty. Eduardo Quintero stating the request of Congressman Escareal for a copy of the North Borneo documents. Eduardo Quintero sends Memorandum for Mr. Holigores forwarding confidential documents on the Sultan of Sulu Case. Vice President Carlos P. Garcia and the British Ambassador to Manila signed an agreement that provided for the employment and settlement of 5,000 skilled and unskilled Filipino agriculturists and miners in North Borneo. Agreement not implemented as North Borneo employers feared multiple suits arising from claims of Filipino laborers: they had found a sizable number of Indonesians willing to work on a temporary basis. 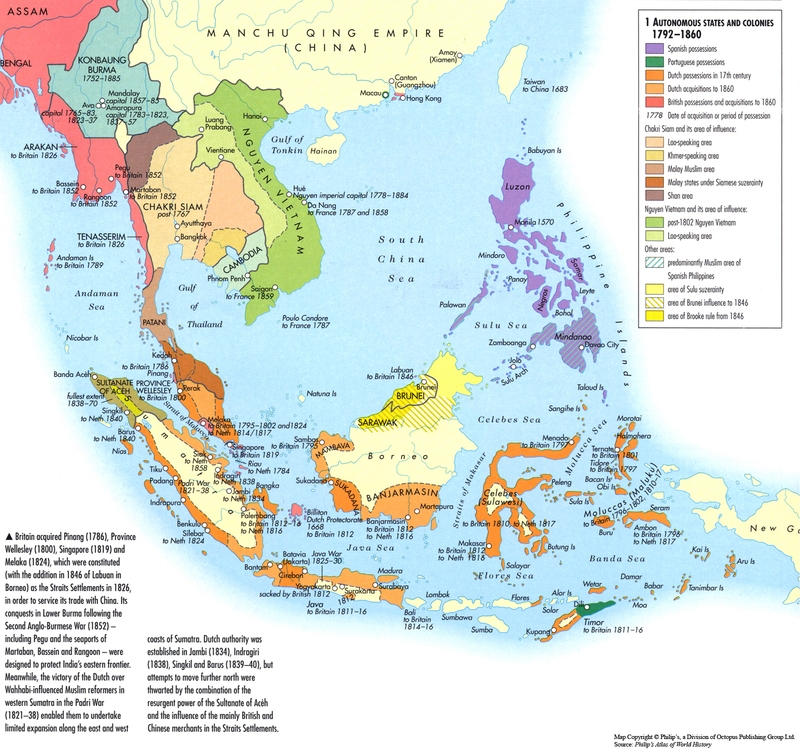 The Federation of Malaya was established as a sovereign country within the British Commonwealth. 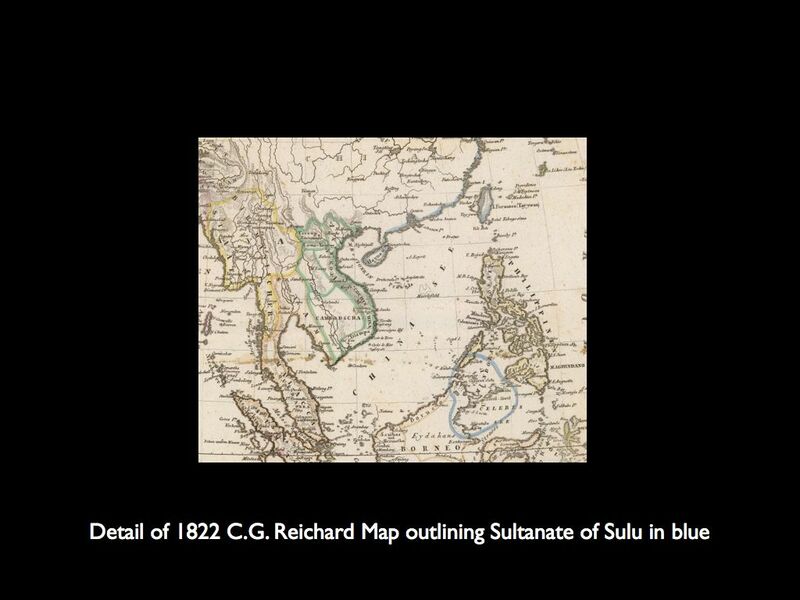 All lands were to be deemed restituted henceforth to the Sultanate of Sulu. A syndicate headed by Nicasio Osmeña acting as attorney-in-fact for the heirs, attempted without success to negotiate with the British Foreign Office for a lump sum payment of $15 million in full settlement of the lease agreement. Peninsular Malaya granted independence by Britain. 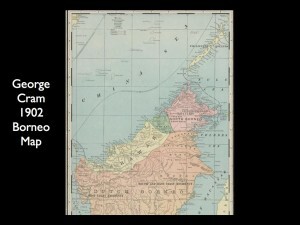 Inclusion of North Borneo (Sabah) in the concept of Malaysia after the UK talks. Tunku Abdul Rahman, Prime Minister of the Federation of Malaya, formally announced the idea of “Greater Malaysia” in a speech at the Conference of Foreign Journalists’ Association of Southeast Asia held at the Adelphi Hotel, Singapore. This was a plan to bring Federation of Malaya, Singapore, North Borneo, Brunei and Sarawak together in political and economic cooperation. Prime Minister Tunku delivers a speech about the need to establish a plan to bring the Federation of Malaya, Singapore, North Borneo, Brunei and Sarawak into a form of political and economic cooperation. He also proposes the establishment of Malaysia. The Malaysia Solidarity Consultative Committee was established for the purpose of explaining to the people of North Borneo, Sarawak and Brunei about the establishment of Malaysia. Inaugural meeting of the Malaysia Solidarity Consultative Committee was held in Sabah. Negotiations between the Federation of Malaya and the British Government. Negotiations between the Malaya and British governments took place, concluding with a joint statement on the creation of Malaysia. 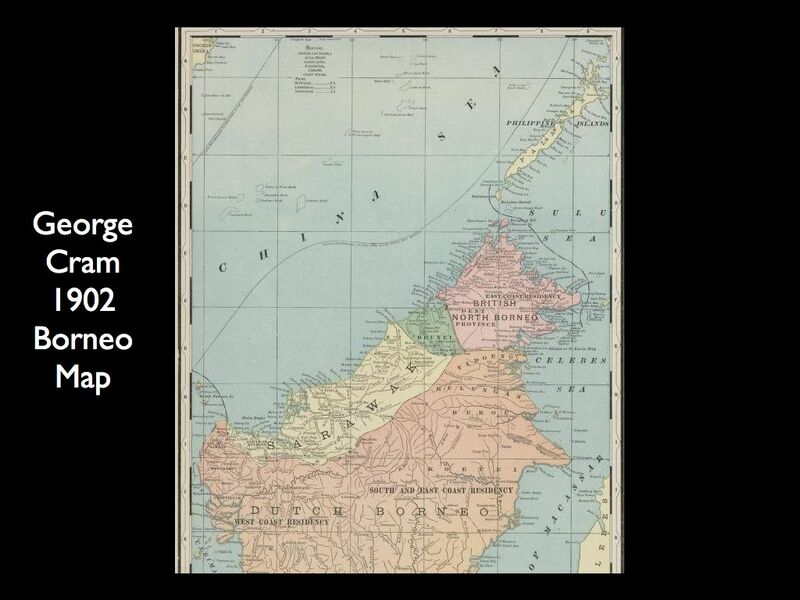 Two conditions were also set: first, that the views of the peoples of North Borneo and Sarawak should be ascertained, and that the Anglo-Malayan Defence Agreement of 1957 should be extended to all territories of the new federation. Second meeting of the Malaysia Solidarity Consultative Committee was held in Kuching, Sarawak. The Third Malaysia Solidarity Consultative Committee meeting was held in the Selangor Legislative Assembly Chamber, Kuala Lumpur. Formation of the Cobbold Commission. The Commission was tasked explore the views of communities in North Borneo (Sabah) and Sarawak on the idea of Malaysia. The Commission comprises of five members, chaired by Lord Cobbold, a former governor of the Bank of England, its members comprises of Dato’ Wong Pow Nee and Encik Mohd Ghazali bin Shafie, representing the government of Malaya, while Sir Anthony Abell and Sir David Watherston , the representative of the British government. Mr. H. Harris acted as the Secretary. The Commission of Enquiry in North Borneo and Sarawak Regarding Malaysian Federation is established to survey the views of the communities in North Borneo (Sabah) and Sarawak on the idea of Malaysia. It is also known as the Cobbold Commission, after its chairman Lord Cobbold (a former governor of the Bank of England). The other members of the Commission are Dato’ Wong Pow Nee and Encik Mohd Ghazali bin Shafie, representing the Federation of Malaya, and Sir Anthony Abell and Sir David Watherston, representing the British government. See CO 947 summary of records in British National Archives. See also Regina Lim, Federal-State Relations in Sabah, Malaysia: The Berjaya Administration, 1976-85. Also, Alistair Morison, Fair Land Sarawak: Some Recollections of an Expatriate Officer. The Malaysian official view is in Penubuhan Malaysia 1963. The Fourth Malaysia Solidarity Consultative Committee Meeting. 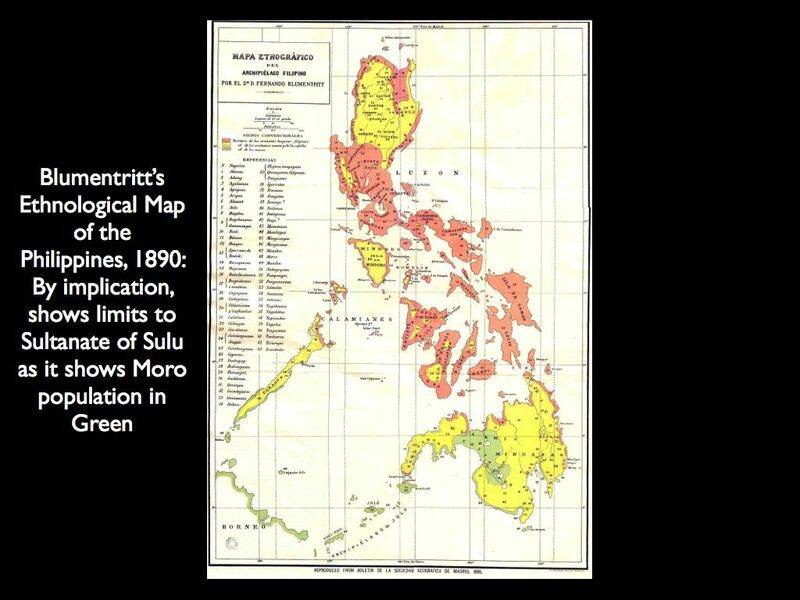 Ortiz: J.C. Orendain, acting as counsel for the heirs – regain proprietary rights to North Borneo and that sovereignty be turned over to the Philippine Republic. Heirs of the Sultan of Sulu ceded sovereignty rights over North Borneo to the Philippine Government. Acceptance by the Republic of the Philippines, represented by Acting Secretary of Foreign Affairs Salvador P. Lopez of the cession and transfer of territory of North Borneo. Signing of the Report of the Commission of Enquiry, North Borneo and Sarawak, at Knebworth House, London. The Cobbold Commission submits its report to the British Government and the Federation of Malaya. Both governments accept and adopt their recommendations. See aide-memoire: DFA meeting with Malayan ambassador. Note is sent by Secretary of State to Philippine Ambassador in London. Heirs of the Sultan of Sulu cede all rights, proprietary, title, dominion and sovereignty to the Republic of the Philippines. Secretary of Foreign Affairs sends Note to British Ambassador asserting that the Philippine claim subsists despite the London agreements including North Borneo in the Federation of Malaysia. 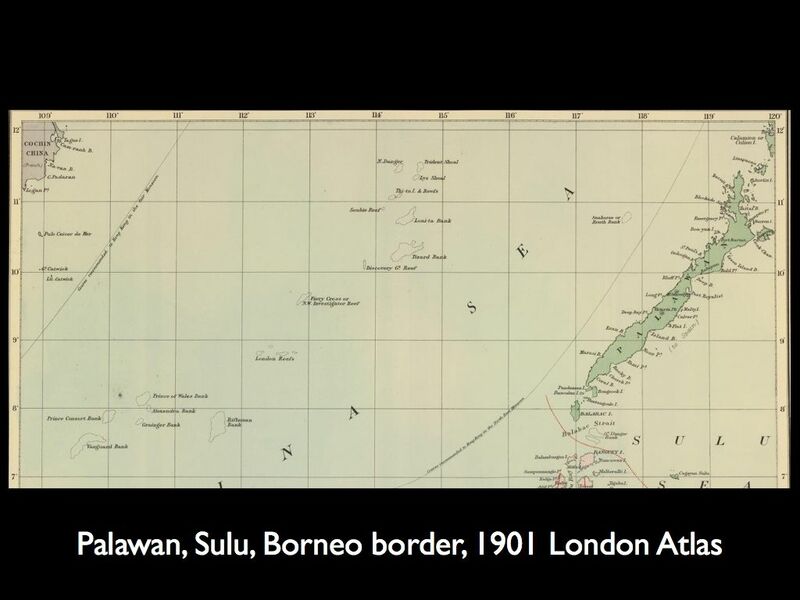 See Malayan aide-memoire: North Borneo is a PHL-UK issue. Legislative Council of North Borneo election. 111 seats candidates were elected. 96 of the elected representatives were in favor of joining the Federation of Malaysia. A few favored complete independence and none favored joining the Philippines. President Macapagal restates Philippine position on Sabah in his SONA. In laying claim to North Borneo in pursuance of the legal and historic rights and the security interests of the Philippines, we recognize the cardinal principle of self-determination of which the Philippines has been a steadfast adherent. In the prosecution, of our valid claim, it is agreeable to us that at an appropriate time, the people of North Borneo should be given an opportunity to determine whether they would wish to be independent or whether they would wish to be a part of the Philippines or be placed under another state. Such referendum, however, should be authentic and bona fide by holding it under conditions, preferably supervised by the United Nations that would insure effective freedom to the people of North Borneo toexpress their true and enlightened will. Talks between British and Philippine Governments held in London: see opening statement by Vice President Emmanuel Pelaez. Joint Final Communique issued by the Philippines and the United Kingdom stating both their claims. Rep. Salonga (Rizal) responds to Senator Sumulong. Philippines and Malaysia agree to raise their respective consulates to ambassadorial level. DFA writes to Malayan embassy asking Malaya to help secure British approval for resolving North Borneo claim through the International Court of Justice. 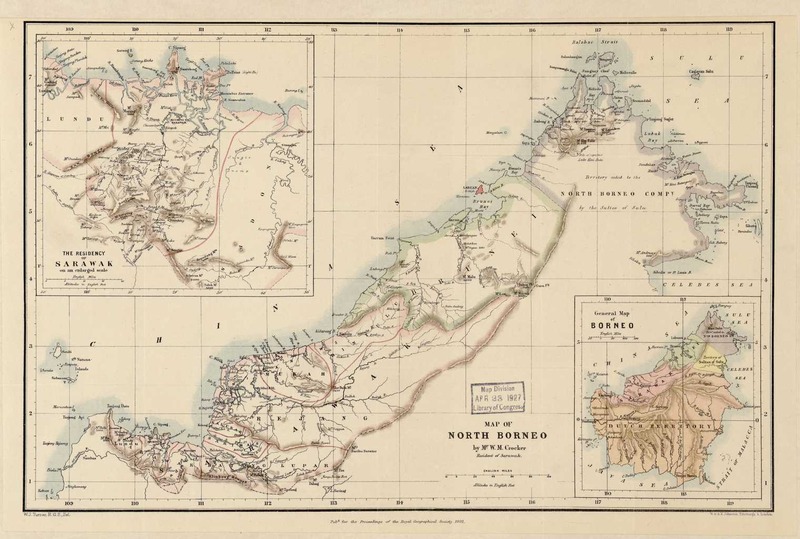 Ministers of the country agree to the creation of Malaysia with the support of the people of North Borneo to be ascertained by an independent body. (UN Secretary General). Joint Statement by the Philippines, the Federation of Malaya, and Indonesia. The United Nations Secretary-General or his representative should ascertain prior to the establishment of the Federation of Malaysia the wishes of the people of Sabah (North Borneo) and Sarawak within the context of General Assembly. Two United Nations teams were sent to Sarawak and Sabah to ascertain the wishes of the population with regard to joining the Federation of Malaysia. United Nations Secretary-General Report confirming that majority of the population of Sabah and Sarawak wished to join the Federation of Malaysia. The United Nations Malaysia Mission was sent to Sabah and Sarawak in order to assess if their population agreed in joining Malaysia. 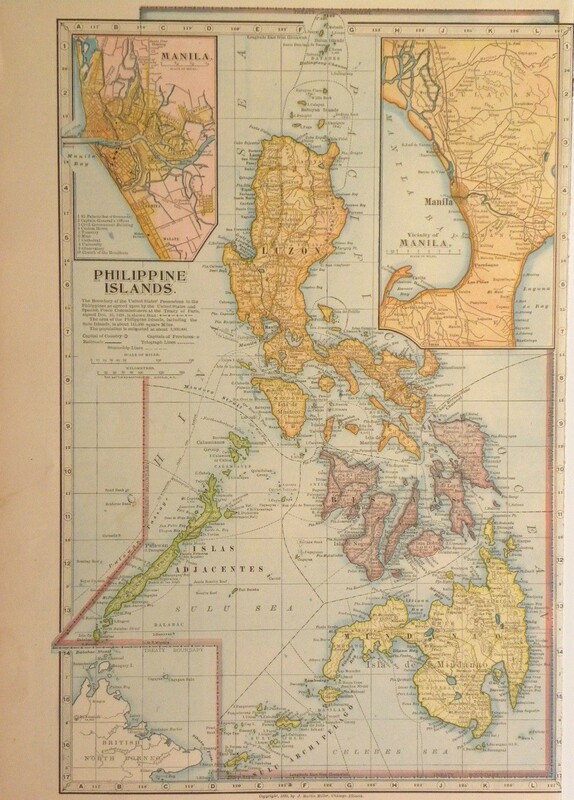 Philippines proposes to Britain to submit question of North Borneo to the International Court of Justice. Philippines also informs Malayan government but receives no response. Secretary of Foreign Affairs writes to Indonesian counterpart: on Indonesian assistance for Philippine claim to be submitted to International Court of Justice. The Secretary-General’s representative, Laurence Michelmore, submitted UN Malaysian Mission’s report to Secretary-General U Thant. Among the members were Mr. George Howard; Mr. Kenneth K.S. Dadzie; Mr. George Janecek. See: UN Photo Release, September 10, 1963. 100 per cent. of the population of North Borneo and 75 per cent. of the population of Sarawak supported formation of the federation. Report of the United Nations Malaysia Mission. 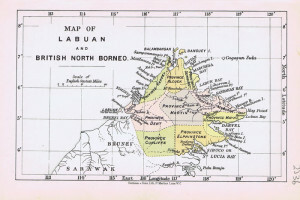 Having reflected fully on these considerations, and taking into account the framework within which the Mission’s task was performed, I have come to the conclusion that the majority of the peoples of Sabah (North Borneo) and of Sarawak, have given serious and thoughtful consideration to their future, and to the implications for them of participation in a Federation of Malaysia. I believe that the majority of them have concluded that they wish to bring their dependent status to an end and to realize their independence through freely chosen association with other peoples in their region with whom they feel ties of ethnic association with other peoples in their region with whom they feel ties of ethnic association, heritage, language, religion, culture, economic relationship, and ideals and objectives. Not all of these considerations are present in equal weight in all minds, but it is my conclusion that the majority of the peoples of the two territories, having taken them into account, wish to engage, with the peoples of the Federation of Malaya and Singapore, in an enlarged Federation of Malaysia through which they can strive together to realize the fulfilment of their destiny. Indonesia assures the Philippines it supports the Philippine position to resolve the matter in the International Court of Justice. Jose Imperial memorandum to the Secretary of Foreign Affairs (see entry for 1900) on the article “Jolo Jollities” dated March 24, 1900, the Sultan of Sulu was honored with a 17-gun (Cabinet Secretary level) salute when he visited an American transport and was familiar with the honors rendered to him. This excerpt contradicts Francis Burton Harrison’s account that the honors rendered to the Sultan of Sulu was a 19-gun salute (Head of Government level). Attempts of allies (including the U.S.A.) to mediate among the three MAPHILINDO countries result in a series of talks in Bangkok. Attempts of allies (including the U.S.A.) to mediate among the three MAPHILINDO countries result in a series of talks in Tokyo. Singapore is expelled from the Federation of Malaysia. Philippines reiterates Philippine position on North Borneo as stated in Manila Accord and proposes discussion on a mode of settlement for the issue. Malaysia notes the Philippine proposal. Malaysia reiterates its willingness to abide by the Manila Accord and the Joint Statement of August 5, 1963. Legislative Assembly election in North Borneo. 32 seats were contested during the elections with the Philippines and Indonesia being invited to observe. The Indonesian government sent observers to the elections while the Philippines did not. 31 were elected with the platform of rejecting the Philippine claim over North Borneo. Indonesia accepted the results of the elections and recognized Sabah and Sarawak as parts of Malaysia. 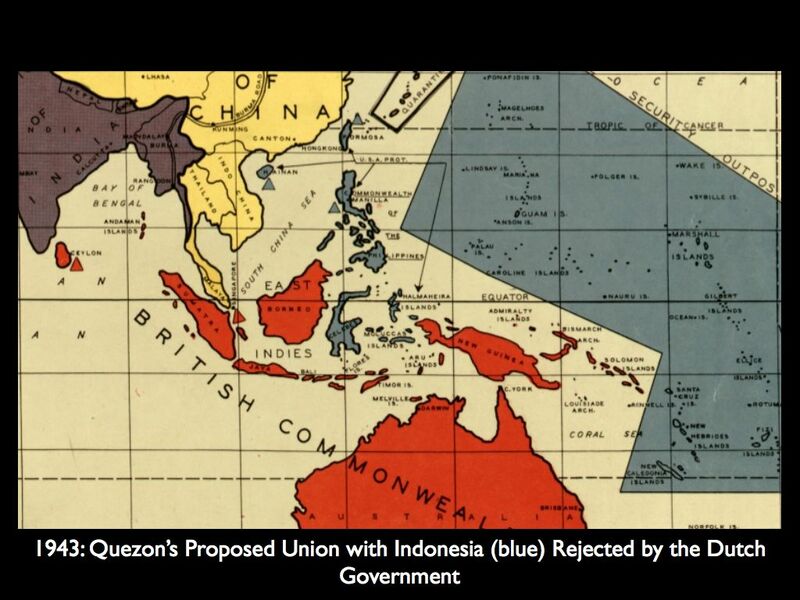 The Philippines rejected the results and insisted on prosecuting the claim over North Borneo. The Philippines previously sent observers to the UNMM conducted in 1962. Agreement on anti-smuggling cooperation between Malaysia and the Philippines and Protocol to Agreement on Anti-Smuggling Cooperation Between Malaysia and the Philippines signed in Kuala Lumpur. Recruits, 200 Tausug and Sama Muslims aged 18 to 30, for Operation Merdeka arrive at Simunul, Tawi-Tawi. Troops accept their mission in Sabah. They were told to start the trouble in Sabah. Then, when there is trouble in Malaysia, and they will complain to the United Nations, the President of the Philippines, Ferdinand E. Marcos, will say that the Philippine Muslims are claiming. But the Philippine government will make it appear that members of the Jabidah unit are not real soldiers but soldiers of the Muslim Sultans. Jabidah unit leaves Simunul, Sulu for Corregidor. Recruits were brought to Corregidor for training on guerrilla tactics in preparation for “Operation Merdeka,” then a top-secret plan of the Marcos administration to invade the east Malaysian state of Sabah which the Philippine claimed as part of its territory. The idea was: cause unrest, giving Philippines reason to intervene. Members of the Jabidah Unit agree to write a petition to Malacañang for the payment of their stipend. Three members of the unit are taken purportedly brought to Manila. Their training officers fired at them before dawn after an attempt by the trainees to air their grievances against the officers to Malacañang. Constancio B. Maglana delivered a privilege speech in the House of Representatives on the Philippine claim on Sabah. Constancio B. Maglana, a member of the House of Representatives published Sabah is Philippines (1969), and in a privilege speech, apart from laying the basis for the Philippine claim, also advocated the prosecution of the claim. Operation Merdeka Exposé in a privilege speech of Senator Benigno S. Aquino Jr. Senator Benigno S. Aquino, Jr. exposed President Ferdinand E. Marcos’ plan to create an infiltration unit (Jabidah Unit) to sneak into Sabah and cause chaos. Senator Aquino accuses President Marcos of unconstitutional acts and imperiled foreign relations. At this point, only 31 people were missing from the failed Operation Merdeka. Talks between the Philippines and Malaysia opened in Bangkok. Delegation’s Term of Reference: Only one mode of settlement — elevating the dispute to the World Court. Amb. Leon Ma. Guerrero responds to Malaysian rejection. Upon advice of the Foreign Policy Council, President Ferdinand E. Marcos breaks diplomatic relations with Malaysia. President Ferdinand E. Marcos issued a policy statement about the Philippine claim. In radio-television chat, a day after the withdrawal of diplomatic representative in Kuala Lumpur, President Ferdinand E. Marcos, reiterated the Philippine government’s peaceful policy in its efforts to pursue the claim and advocated the recourse of filing the case at the International Court of Justice (ICJ). US State Department Press Officer Robert J. McCloskey said the U.S. recognized the ownership of Malaysia over Sabah. Senator Benigno S. Aquino, Jr., in a speech before a civic group, denounced President Marcos’ actions toward Sabah. (Liwag): There is nothing in the law which has physically incorporated or annexed Sabah to the territory of the Philippines. The law does not provide for an effective annexation of Sabah. This was not intended by our lawmakers. The law does not delineate Sabah to form part of Philippine territory for the present. The provision in question merely provides for a future delineation of the baselines of the territorial sea covering Sabah if and when the territory shall have come within our physical control. Senator Aquino cited the right of the people of Sabah to self-determination which was shown during the referendum of 1963. The Senator quoted President Macapagal in 1963 where he said that the Philippines recognizes the principle of self-determination. His speech ended by citing the elections that were held in Sabah in recent years. 23rd Session of the UN General Assembly, the Philippines and Malaysia tangled in a debate on the North Borneo (Sabah) Issue. PHL policy statement: bring issue up to World Court, consistent with the Manila Accord agreement. The people of Sabah had shown their desire to be with the Federation of Malaysia; upheld the British title to Sabah based on, ‘continuous occupation, administration and exercise of sovereignty, which by itself in international law, is sufficient as a good title;’ there is no Philippine claim therefore nothing to discuss. Ambassador Quintero receives from the Department of Foreign Affairs copies of documents pertaining to the search for the original deed of 1978. The documents cover 1921 – 1940. Certified true copy of Volume 4, pages 349 – 361 of the Treaties and Other International Acts of the United States from the U.S. Archive signed by U.S. Secretary of State William Rogers. Jose F. Imperial, Deputy Chief of Mission in the Philippine Embassy in Washington, writes the Secretary of Foreign Affairs with enclosed authenticated copies of Volume 4, pages 349 – 361 of the Treaties and Other International Acts of the United States. In Under the Crescent Moon by Marites Vitug and Glenda Gloria, All accused in the Jabidah Massacre were tried and acquitted in a Military Court. Moro National Liberation Front begins rebellion against the government. reports in 1973 that Marcos, either directly or through Indonesia, had proposed to the Malaysian government that Manila would renounce publicly its claim to Sabah if Malaysia could assure the Philippines that it would stop giving sanctuary to the MNLF. Memorandum Order No. 427, s. 1974. Creating a committee to handle the confirmation of the Sultan of Sulu by the Ruma Bechara. Executive Order No. 429, S. 1974. Creating a Consultative Council on Muslim Affairs. That R.A. 5446, particularly Section 2, be repealed. Three rounds of talks between Manila and Kuala Lumpur break down with Malaysia objecting to quid pro quoapproach of the Philippines. Secret talks between Minister Roberto V. Ongpin and Malaysian Prime Minister Mahathir. Prime Minister Mahathir reiterated need for PHL to drop claim in a brief interview after speaking before the ASEAN Law Association general assembly at the University of Malaya in Kuala Lumpur. Vice President and Minister for Foreign Affairs Salvador H. Laurel meets with PM Mahathir and Foreign Minister Tengku Ahmad Rithauddeen in Kuala Lumpur. ASEAN Foreign Ministers meeting in Manila. Usec. of Foreign Affairs Jose D. Ingles and Sec. Gen. of Malaysian Foreign Ministry continue discussion on Sabah question. Debates of the Constitutional Commission. It clearly therefore did not abandon any claim to Sabah or to any other territory but left all such matters to determination through international process. Series of meetings between Usec. of Foreign Affairs Jose D. Ingles and Tan Sri Zainal held further talks in Kuala Lumpur. Series of meetings between Usec. of Foreign Affairs Jose D. Ingles and Tan Sri Zainal held further talks in Hong Kong. Senator Rasul successfully brings the heirs to Malacañan Palace and appoint representatives. However, talks were stalled when Jamalul Kiram III dissented. President Corazon C. Aquino and Secretary Raul S. Manglapus met with the heirs without Jamalul Kiram III. Former Senator Arturo M. Tolentino opposed the Shahani Bill as it would drop Sabah claim. President Fidel V. Ramos issues Executive Order No. 46 s. 1993 creating the Bipartisan Executive-Legislative Advisory Council on the Sabah Issues. The Philippines and Malaysia sign Memorandum of Understanding on Joint Commission on Bilateral Cooperation. 1st PH-Malaysia Joint Commission for Bilateral Cooperation. President Fidel V. Ramos proposes creation of BIMP-EAGA (Brunei, Indonesia, Malaysia, and Philippines-East ASEAN Growth Area). See Agreed minutes of inaugural ministerial meeting of the Brunei Darussalam, Indonesia, Malaysia, the Philippines-East ASEAN Growth Area (BIMP-EAGA). 2nd PH-Malaysia Joint Commission for Bilateral Cooperation. The Malaysian side stated that the Malaysian Government has decided to establish a Consulate General in Davao City. A formal notification would be made to the Philippine Government and plans are for the Consulate to be set up in May/June 1995. 3rd PH-Malaysia Joint Commission for Bilateral Cooperation (JCBC). The Meeting agreed on the need to hold regular informal consultations between the relevant agencies of the two sides to resolve any outstanding problem pertaining to Filipino workers and illegal immigrants. Opening Remarks by Datuk Abdullah Haji Ahmad Badawi, Minister of Foreign Affairs, Malaysia for the 3rd PH-Malaysia Joint Commission for Bilateral Cooperation (JCBC). Princess Denchurain Kiram writes Prime Minister Mahatir of Malaysia asking to increase the the rental $1,000,000. She also said that she is willing to renounce the claim if the Malaysian Government provide a fair settlement. PH-MY sign Turtle Islands Heritage Protected Area Agreement. Executive Order No. 117 reconstituted the Bipartisan Executive-Legislative Advisory Council on the Sabah Issues. HB 2031 (HB 2973 re-filed). 4th Malaysia-PH Joint Commission for Bilateral Cooperation. PHL petitions ICJ to intervene in territorial dispute over Sipadan and Ligitan islands between Malaysia and Indonesia. See also note verbale. Malaysian authorities reportedly expressed willingness to buy Sabah for US $800 Million. Deal supposedly initiated by heirs of the Sultan of Sulu through legal counsel Ulka Ulama. Office would be similar to Manila Economic and Cultural Office in Taiwan. The Court determines whether Indonesia or Malaysia obtained a title to the islands by succession. 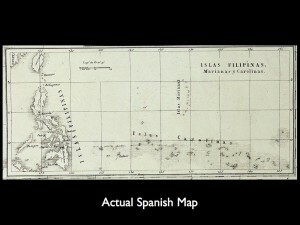 The Court begins in this connection by observing that, while the Parties both maintain that the islands of Ligitan and Sipadan were not terrae nullius during the period in question in the present case, they do so on the basis of diametrically opposed reasoning, each of them claiming to hold title to those islands. The Court does not accept Indonesia’s contention that it retained title to the islands as successor to the Netherlands, which allegedly acquired it through contracts concluded with the Sultan of Bulungan, the original title-holder. Nor does the Court accept Malaysia’s contention that it acquired sovereignty over the islands of Ligitan and Sipadan further to a series of alleged transfers of the title originally held by the former sovereign, the Sultan of Sulu, that title having allegedly passed in turn to Spain, the United States, Great Britain on behalf of the State of North Borneo, the United Kingdom of Great Britain and Northern Ireland and finally to Malaysia. Having found that neither of the Parties has a treaty-based title to Ligitan and Sipadan, the Court next considers the question whether Indonesia or Malaysia could hold title to the disputed islands by virtue of the effectivités cited by them. In this regard, the Court determines whether the Parties’ claims to sovereignty are based on activities evidencing an actual, continued exercise of authority over the islands, i.e., the intention and will to act as sovereign. “2.I wish to explicate a legal basis for the Court’s decision which, while consistent with it, has not been advanced by the Court, perhaps because it was insufficiently advanced by the Parties …The point of law is quite simple, but ultimately basic to the international rule of law. It is this: historic title, no matter how persuasively claimed on the basis of old legal instruments and exercises of authority, cannot – except in the most extraordinary circumstances – prevail in law over the rights of non-self-governing people to claim independence and establish their sovereignty through the exercise of bona fide self-determination. 9. …Under modern international law, however, the enquiry must necessarily be broader, particularly in the context of decolonization. In particular, the infusion of the concept of the rights of a “people” into this traditional legal scheme, notably the right of peoples to self-determination, fundamentally alters the significance of historic title to the determination of sovereign title. 15. Accordingly, in light of the clear exercise by the people of North Borneo of their right to self-determination, it cannot matter whether this Court, in any interpretation it might give to any historic instrument or efficacy, sustains or not the Philippines claim to historic title. Modern international law does not recognize the survival of a right of sovereignty based solely on historic title; not, in any event, after an exercise of self-determination conducted in accordance with the requisites of international law, the bona fides of which has received international recognition by the political organs of the United Nations. Against this, historic claims and feudal pre-colonial titles are mere relics of another international legal era, one that ended with the setting of the sun on the age of colonial imperium. ARMM Governor Nur Misuari ordered his troops to wage rebellion. He escapes to Malaysia. Malaysian government extradites him back to the Philippines. Executive Order No. 121 s. 2002 again reconstituted the Bipartisan Executive-Legislative Advisory Council on the Sabah Issues. 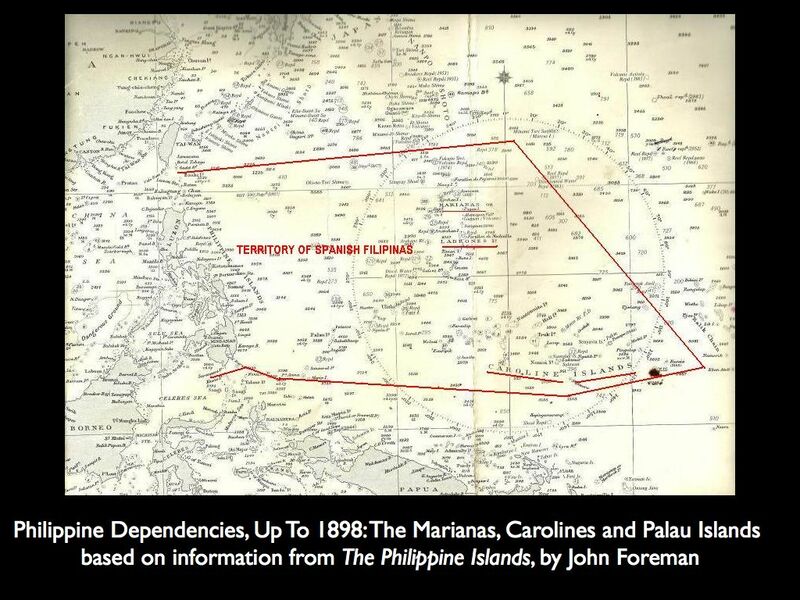 HB 1973 –- An act defining the archipelagic baselines of the Philippine archipelago to include the Kalayaan Island Group and to conform with the provisions of the United Nations Convention on the Law of the Sea, amending for the purpose Republic Act No. 3046, as amended by Republic Act No. 5446. Introduced by Hon. Antonio V. Cuenco. Introduced by the Hons. Antonio V. Cuenco, Edgardo M. Chatto, Carmen L. Cari, Jose G. Solis and Roilo S. Golez. Executive Order No. 357 s. 2004The Bipartisan Executive-Legislative Advisory Council on the Sabah Issues was abolished and its functions transferred to DFA. Closing Statement of Malaysian Foreign Minister Dato’ Seri Syed Hamid Albar at the 6th Malaysia-PH Joint Commission Meeting. Jamalul Kiram III runs unsuccessfully for Senator under Partido Demokratikong Sosyalista ng Pilipinas (PDSP) headed by Norberto Gonzales, receiving over two million votes. PDSP is in coalition with President Gloria Macapagal-Arroyo’s Lakas-CMD and KAMPI to form TEAM Unity. Administration coalition is crushed in the polls with only two of its bets winning, the other 10 seats are won by the opposition. Nur Misuari called for the revival of North Borneo claim in Second Mindanao Leadership Summit attended by MNLF combatants. Strong reaction from Datuk Seri Panglima Yong Teck Lee, President of the Sabah Progressive Party urging Malaysia’s Federal Government to bring in military, set up consulates in Mindanao and invite PHL to set up consulate in Sabah. “Sultanate of Sulu” reportedly starts issuing birth certificates to Filipinos in Sabah . Datu Omar negotiator of Mohammad Jamal Al Alam heirs was quoted “obtained signatures of nine heirs relinquishing claims to Sabah” but these are denied by claimants. Sulu provincial government tells Malaysia to Increase annual payment to Jamalul Kiram II to $500 Million. No recognition of a foreign state’s sovereignty over North Borneo; any official activity relating to North Borneo carried out only with the clearance of or after consultations with DFA. President Gloria Macapagal-Arroyo signs R.A. 9522, amending R.A. 5446. In fulfilment of the second Malaysian stipulation, President Gloria Macapagal-Arroyo removes mention of Sabah or North Borneo in the Archipelagic Baselines of the Philippines law. Supreme Court decision (GR No. 187167) upholds the baseline law. Visit to the Philippines of Malaysian House Speaker Pandikar Amin Haji Mulia. Malaysian House Speaker Pandikar Amin Haji Mulia raised the matter of the opening of a consulate during his call on President Benigno S. Aquino III, who, in response, instructed the Secretary of Foreign Affairs to conduct a study on the prospects for opening a consulate. Upon returning from a visit to Malaysia, Vice-President Binay says he will recommend to the President the setting up of a Philippine Consulate in Sabah. Majul, Dr. Cesar Adib. 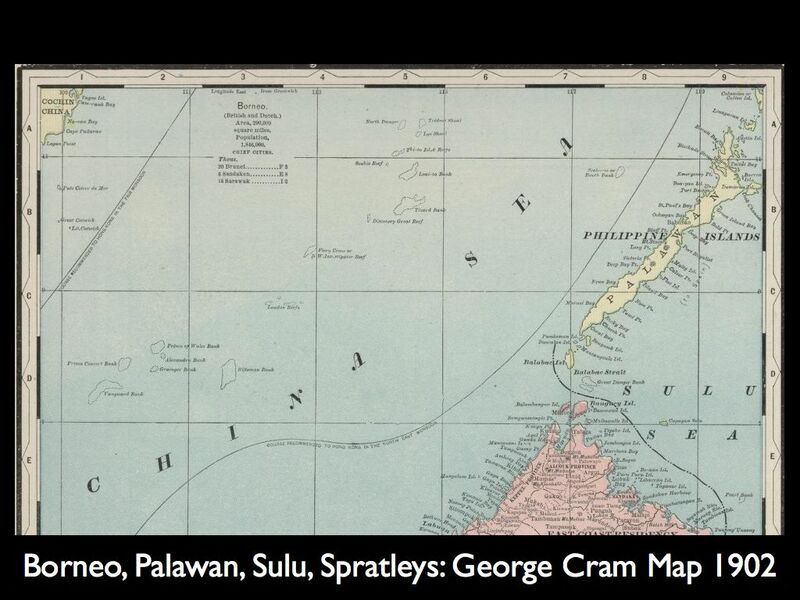 “The Sulu Sultanate and its Original Acquisition of Sabah.” Symposium on Sabah (1969): 29-40. Print. Canoy, Reuben R.. The History of Mindanao. Cagayan de Oro City: Reuben R. Canoy, 2001. Print. Quiason, Dr. Serafin D. “English Trade and Politics in the Mindanao-Sulu Area: 1684-1888.” Symposium on Sabah (1969): 5-28. Print. Sellato, Bernard. “Forest, Resources and People in Bulungan.” usaid.gov. N.p., n.d. Web. 4 Mar. 2013. <pdf.usaid.gov/pdf_docs/Pnacr480.pdf>. Treacher, W.H. . British Borneo: Sketches of Brunai, Sarawak, Labuan, and North Borneo. Singapore: Government Printing Department, 1891. Print. ; Ortiz, Pacifico . “Legal Aspects of the North Borneo Question.”Philippine Studies. 11.1 (1963): 18-64. Print. Ade, George. The Sultan of Sulu: An Original Satire in Two Acts. . Russell, R. H., 1903. Print. Accounts and Papers: Correspondence on the Subject of Allegations Against the Administration of the British North Borneo Company presented to Parliament by Command of His Majesty. Vol.33, 10 February – 23 December 1920. 1920-1969 DFA papers collection. Print. Accounts and Papers (vol.33, 10 February – 23 December 1920): Correspondence on the Subject of Allegations Against the Administration of the British North Borneo Company presented to Parliament by Command of His Majesty. 1920-1969 DFA papers collection. Guingona, Teopisto. Letter to the Governor-General of the Philippines. February 15, 1921. 1920 – 1969 DFA Papers Collection. Office of the Governor-General of the Philippines. Letter to the Chief of the Bureau of Insular Affairs of the United States War Department. 1920 – 1969 DFA Papers Collection. United States Secretary of War. Letter to the Secretary of State. 1920 – 1969 DFA Papers Collection. Deputy Secretary of State. Letter to the Secretary of War. 1920 – 1969 DFA Papers Collection. Dandan, Mahmud. The Borneo Story. The Evening News October 5, 1946. Print. Manila Bulletin. Syre Reveals Interest in Moro Treaty Rights in Borneo Territory. September 7, 1940. 1920 – 1969 DFA Papers Collection. Sarawak Case to be Placed before UN. November 25, 1946.1920 – 1969 DFA Papers Collection. Manila Bulletin. Untitled. February 12, 1947. 1920 – 1969 DFA Papers Collection. Melencio, J.P. Signed Memorandum.1920 – 1969 DFA Papers Collection. Penubuhan Malaysia 16 September 1963.” Arkib Negara Malaysia. National Archives of Malaysia, n.d. Web. Stockwell, A. J., ed. Malaysia. London: Stationery Office, 2004. Print. Tan, Kevin. “International Law, History & Policy: Singapore in the Early Years.” Centre for International Law. National University of Singapore, 2011. Web. 4 Mar. 2013. “Penubuhan Malaysia 16 September 1963.” Arkib Negara Malaysia. National Archives of Malaysia, n.d. Web. Quintos, Prof. Rolando. “The Sabah Question: Prospects and Alternatives.” Symposium on Sabah (1969): 67-85. Print. Stockwell, A. J.. Malaysia. London: Stationery Office, 2004. P. 225. Print. Ooi, Keat Gin. Southeast Asia: a historical encyclopedia, from Angkor Wat to East Timor. Santa Barbara, Calif.: ABC-CLIO, 2004. P. 845. Print. Aquino, Benigno S.. A garrison state in the make and other speeches. Legaspi Village, Makati, Metro Manila: Benigno S. Aquino, Jr. Foundation, 1985. Print. DFA. 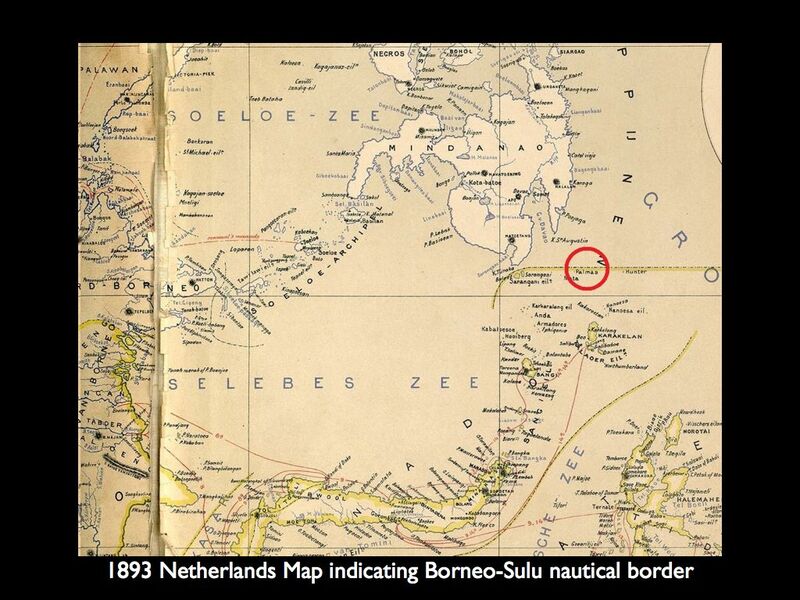 “A Study on the Claim to North Borneo (Sabah).